Every website we design is mobile-friendly (meaning that your site will always be viewable and function properly from a mobile device), but the mobile user experience is becoming increasingly important as consumers are spending more time engaging with brands through mobile devices. That’s why your company’s website design should be mobile responsive too. 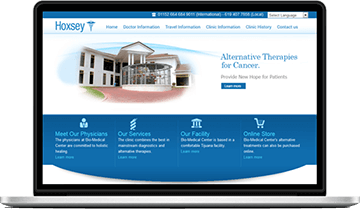 The most streamlined approach to offering a cohesive mobile experience is responsive website design. 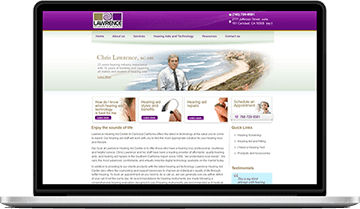 A responsive website adapts its layout (the elements of your site — text, icons and imagery, navigation, etc.) to the size of the device used to access the site. It utilizes a grid-based system and flexible image sizes to shift your content around as needed — no more pinching and pulling your mobile screen to zoom in and navigate around your site! 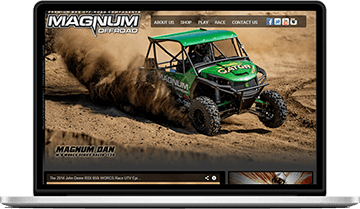 Responsive website design results in a consistent brand experience across all devices, including mobile. According to Latitude, 61% of people have a better opinion of brands when they offer a good mobile experience. And what happens when site visitors enjoy navigating around your site? They stay on your site longer, they engage with your brand longer, and you have a higher chance of getting them to do business with you. Whether you’re interested in a mobile-specific website or a truly responsive website design, we’re ready to help you enhance the mobile user experience for your site visitors. Contact us today to speak with one of our mobile marketing professionals to learn how you can start reaching more qualified leads via smartphones and tablets.